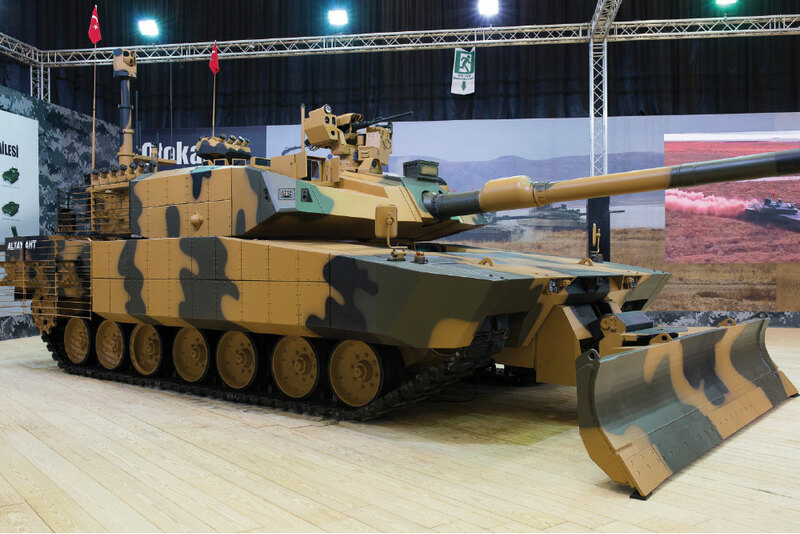 Otokar, a Koç Group company, showcased the Altay-AHT Urban Operations Tank, developed by Otokar on the Altay Main Battle Tank (Altay MBT) Hull and Turret platform, for the first time at the IDEF exhibition. Altay Urban Operations Tank (Altay-AHT) was developed by Otokar on the Altay Main Battle Tank (Altay MBT) Hull and Turret platform. 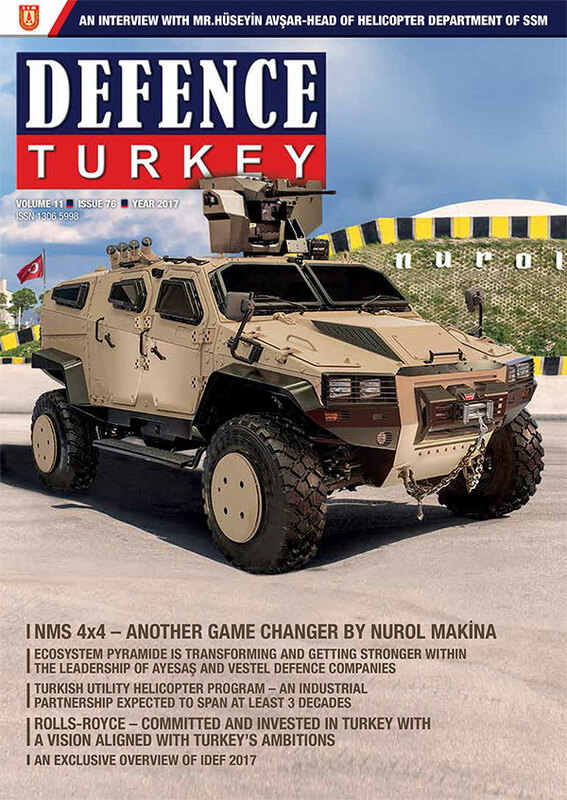 With asymmetric engagements increasing, and those that mostly transpire in residential areas, Otokar, foresaw that the need of modern armies for suitably equipped battle tanks would also increase, and designed the Altay-AHT Urban Operations Tank with a special team of 20 in as little as five months. With its unique survivability, mobility and fire power capabilities, the Altay-AHT Urban Operations Tank is differentiated from Altay MBT with its armor system, mission equipment and a suspension with torsion bars. Explosive Reactive Armor (ERA) and Bar Armor Systems are applied on the tank to enhance its survivability against guided and unguided ballistic missile attacks that pose great threats within 360-degrees for main battle tanks in hybrid and asymmetric combat conditions. Situational awareness improved with the addition of Telescopic Elevated Observation System (EOS), YAMGÖZ system that enables 360-degrees awareness, and repositioning of remote control weapon stations (RCWS). The tank is fitted with a Jammer against remote control IED attacks. The Gunshot Detection System can identify the direction of sniper threats, the Laser Warning System can identify the threats by laser guided anti-tank missiles, and laser range finders that measure distance. The direction of the identified threat can be automatically smoked using the Soft Kill (Smart Smoke Curtain) System. The EOS, RCWS and tank turret can be automatically directed to the threat depending on the user’s preference. The tank is fitted with a directional dozer blade that can be operated by the driver, and used for a variety of tasks such as preparing the defense lines, clearing the obstacles on the battlefield, and filling the tank trenches. The prototype of the Altay Main Battle Tank, Turkey’s largest land systems platform, was also on display at the Otokar booth at IDEF 2017, and is counting the days until serial production. Designed and developed to cater to requirements and expectations of the Turkish Land Forces against present and future threats, Altay is the world’s most modern main battle tank with its specifications. With Otokar as prime contractor, the Altay project was launched in 2009, and the main battle tank, with increased survivability, mobility and firing power, has delivered superior performance in challenging tests conducted in all climatic and terrain conditions for the last two years. The “Qualification Tests” were conducted by the Undersecretariat of Defense Industry, and Land Forces Command on Altay and were completed in February 2017, achieving very high accuracy in firing tests carried out for diverse scenarios in all kinds of weather conditions and distances. As the sole authorized company to receive the Call to Bid Document for ‘Serial Production’, also known as Phase II, for the main battle tank Altay to launch serial production, Otokar submitted its first bid on January 18, 2016, and its best and final offer (BAFO) on August 29, 2016. With all infrastructure requirements and line plans in place to launch production with the signing of the Altay serial production contract, Otokar also obtained the ‘Production Permit’ from the Ministry of Defense. In addition to the production of 250 Altay tanks required by the Land Forces Command over the course of five years, Otokar has also made annual capacity plans taking into consideration the export potential, minesweeping, rescue, engineering tank and other derivative and complementary vehicle needs. The Undersecretariat of Defense Industry’s evaluation process regarding the bid for ‘Serial Production’ and ‘Integrated Logistic Support’ of 250 units of Altay is on-going.